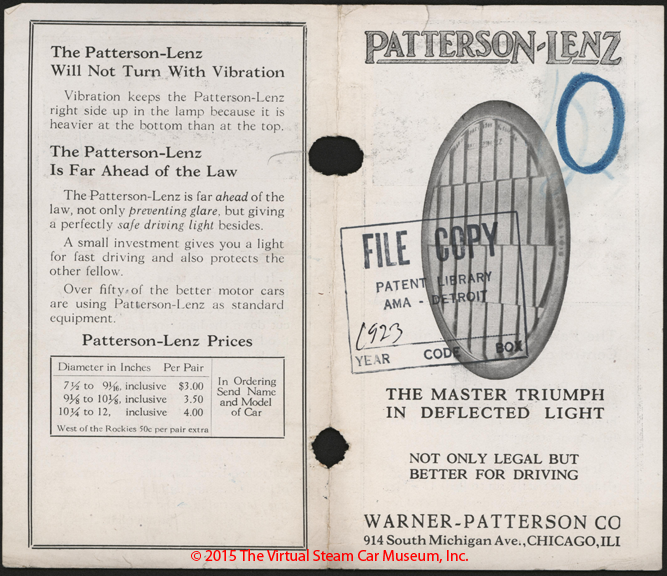 The Warner-Patterson headlight lens was used on Solar 1130 headlights, which were standard equipment on Stanley Models 740 and 750, as well as Steam Vehicle Corporation cars in 1925 and 1926. 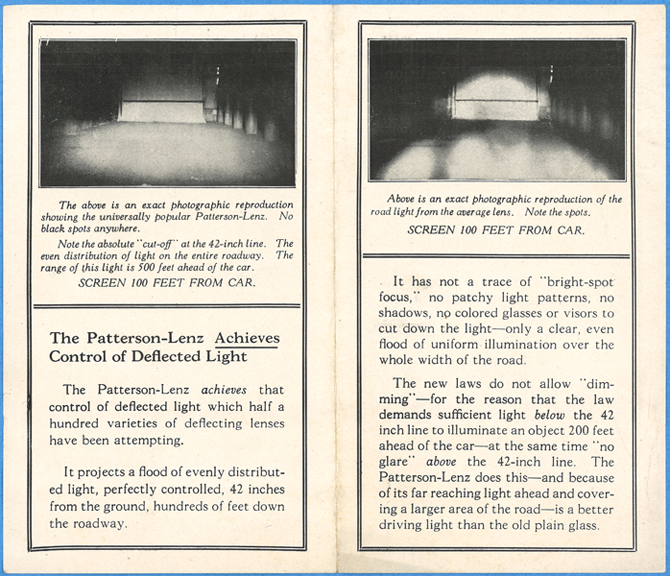 The Company claimed that over 50 manufacturers used this lens and referenced a new law about headlights. 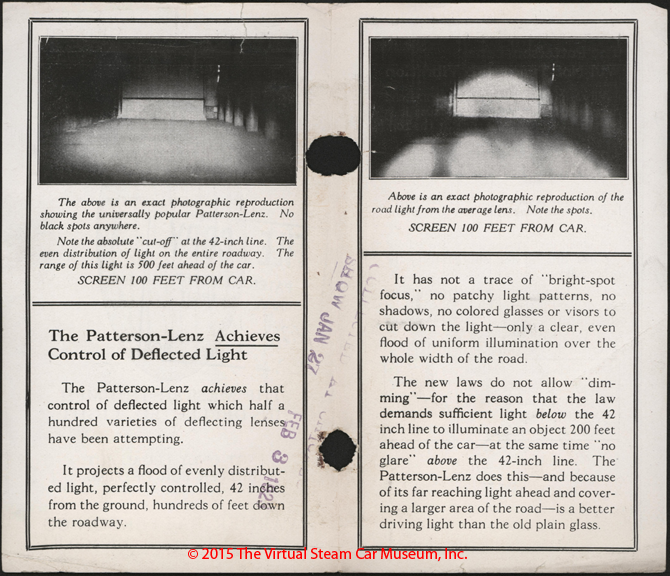 This suggests a research project. 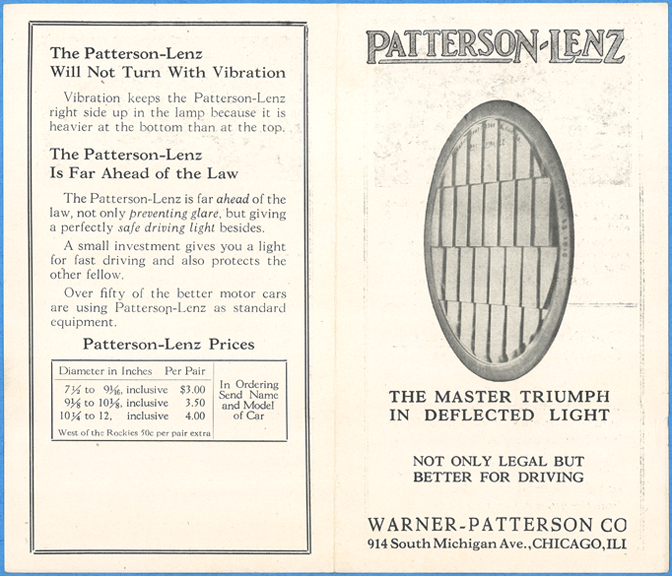 The Warner Patterson Company announced its PATTERSON LENZ in 1921. 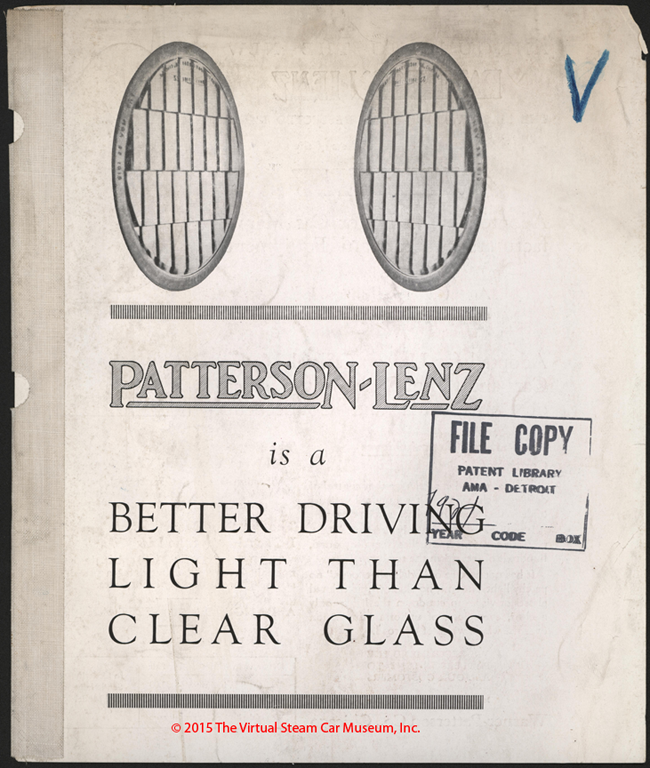 This is the Warner Patterson Company's 1923 brochure touting its PATTERSON LENZ. 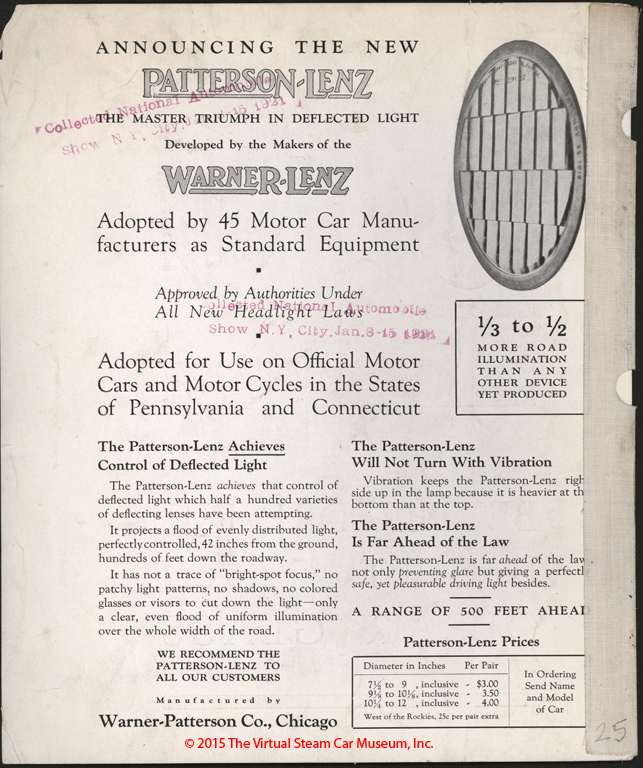 Contact us if you have additional information about the Warner-Patterson Company, or if you have questions.